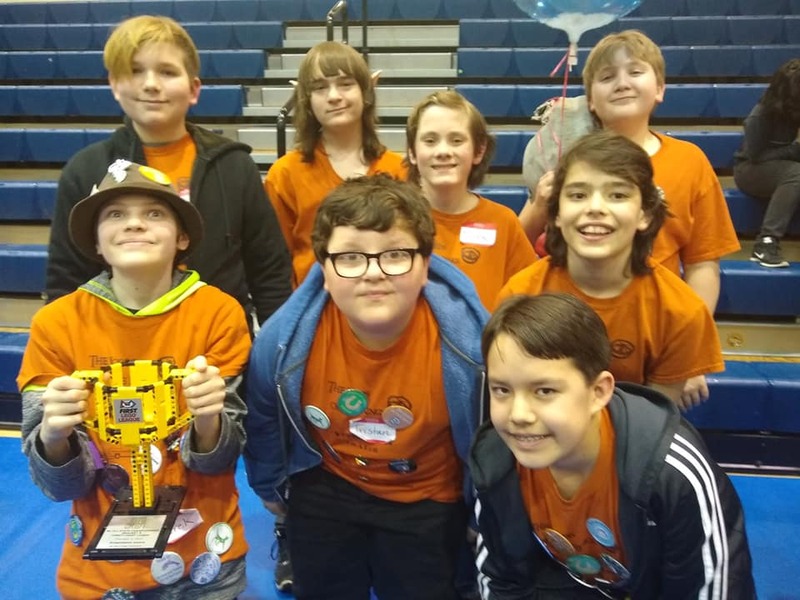 A big CONGRATULATIONS to our Yancey County 4-H Robotics team, “The Lords of The Rings!” This team of smiles is pictured here holding the FIRST Lego League Presentations Award trophy they received at the FLL State Competition at N.C. A&T State University in Greensboro, February 3, 2019. 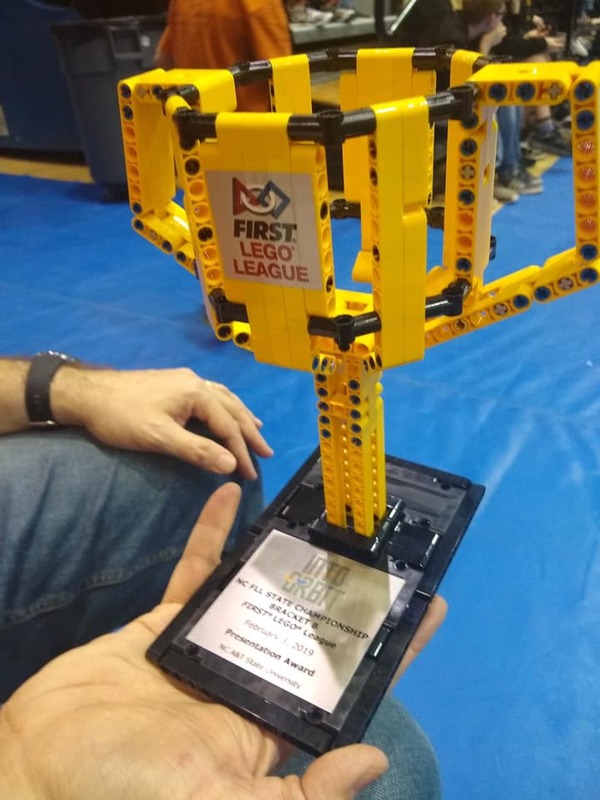 Receiving this award is quite an honor for a team who competes at the state level. They need to be complimented for the many hours of research they dedicated to get to this level during this years’ “Into Orbit” Challenge. Way to go team!!! We also want to recognize the enormous amount of work conducted by 4-H Volunteer Leaders, Allyson & Lanny Heidenfelder who coordinate the program and the trained 4-H Volunteers & parents who donated their time to help these children succeed!